Sometimes the things life throws at us can cause a great deal of stress and worry. Whether we like it or not stress is pretty much everywhere, but how we deal with it is a determining factor of our happiness. Practicing yoga is proven to be a stress reliever. With certain poses and slowing of the breath, it can quiet the mind for you to be able to escape what is going on outside of the studio. 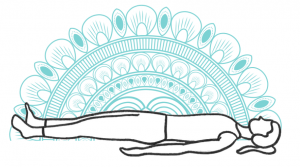 While lying in this pose it helps slow down your breath, center, while calming and soothing the brain. It helps support your neck through the torso to send relaxation to any pain experienced in the neck and back. 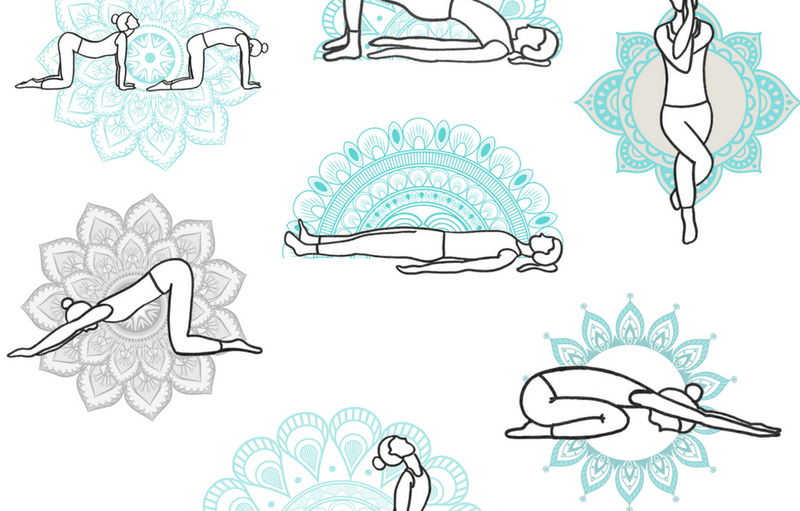 As it benefits the nervous system, it can also restore balance to your body from other poses. This pose can stretch the back and legs to minimize any tension you may have in those areas from sitting all day at work. In strengthening these areas it improves blood circulation, while reducing stress and fatigue. For more support and greater relaxation try placing a block under your lower back to rest the pelvis. This pose requires all attention to the body. By improving focus and balance, this pose can get rid of any stress that you may have. It also releases tension in back, legs, or shoulders. When breathing out, the more tension you let go of the better the release is. 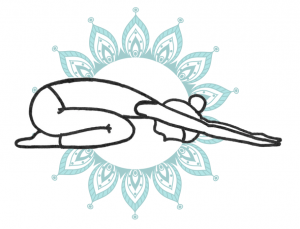 This pose has a heart opening effect, which helps heal your body, mind and spirit. Sometimes stress can cause the shoulder to hunch over. The deeper you go into the pose by extended your arms out, the better stretch you will feel down your spine and in your inner shoulders. It can not only improve posture and balance, but can also improve your emotional balance by keeping your mind focused on your breath. While relaxing the spine, this pose also massages the organs inside the stomach and releases tension in upper neck and back. 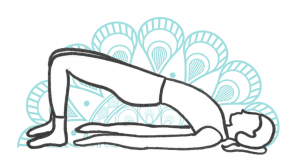 This pose lengthens the back while opening up the hips releasing pressure and tension. By doing this pose enough times, you may notice how your body moves more easily in and out of class. Opening up the hips also helps get rid of any negative thoughts since stress can be stored here. If you are in this pose long enough, you might feel the tension flow possibly causing you to cry. By slowing down the breath, this puts the body in a state of deep rest to help calm the brain to reduce any headaches or fatigue. 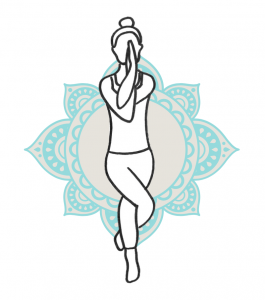 It is usually the last pose in practice, which is a time to clear your mind and let go of any negative energy that you may have. This pose is a place for you to think about your intentions for yoga and to remind yourself to love yourself and your body. Come de-stress with us at one of our 50 class times!